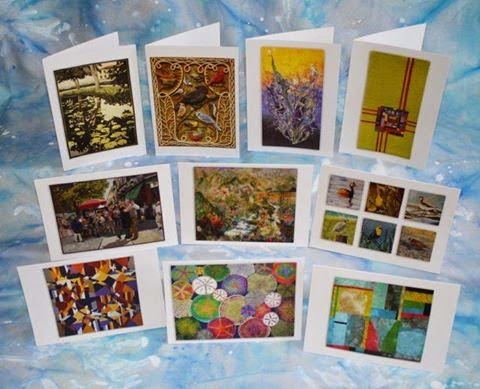 I am a member of the Studio Art Quilt Associates, and am pleased to be one of the artists whose work was selected to be included in this set of notecards. The notecards are available from www.saqa.com. Linda Anderson "Where We Met"
Salley Mavor "Birds of Beebe Woods"
Susan V. Polansky "No One but You"
Maya Schonenberger "Miracle of Life"
B. J. Adams "Six Birds"
Betty Busby "Sand Dollar Spectrum"